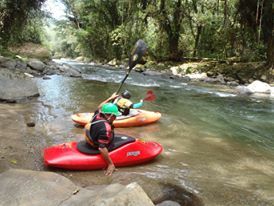 This two day trip starts in Turrialba at 9:00 am on Saturday morning. 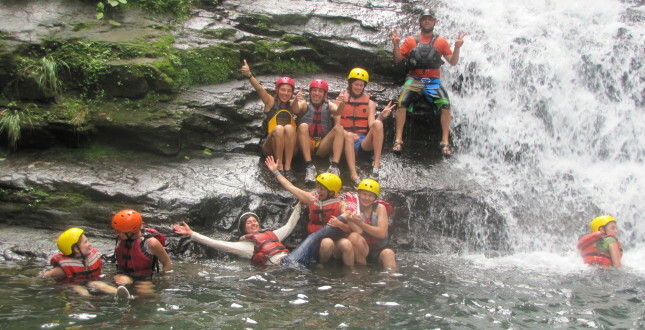 After driving and hiking to the river, you will learn about the commands and receive all safety instructions. 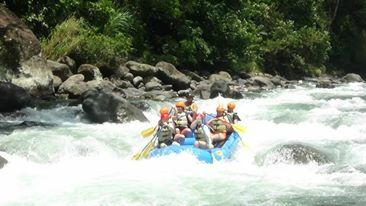 The first day you will be rafting for about two hours and a small side hike is included. 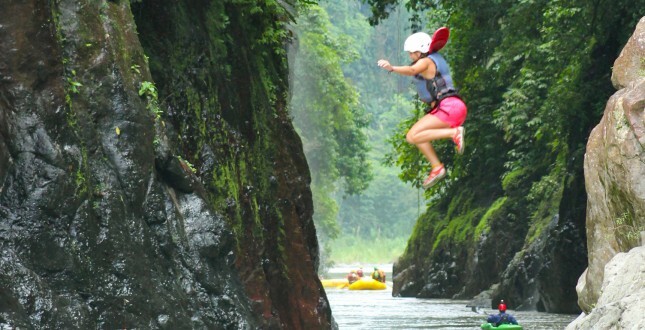 You'll have lunch on the river. 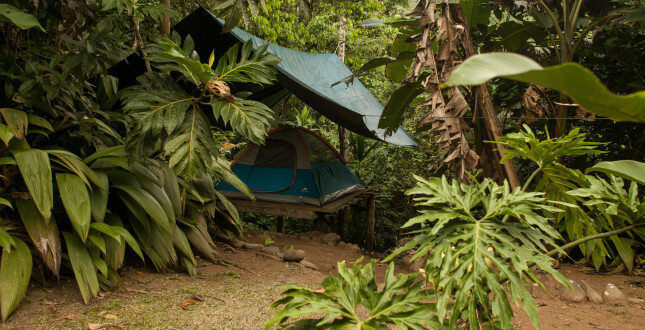 Later in the afternoon you get to the campsite where you will find your tent located on a platform. 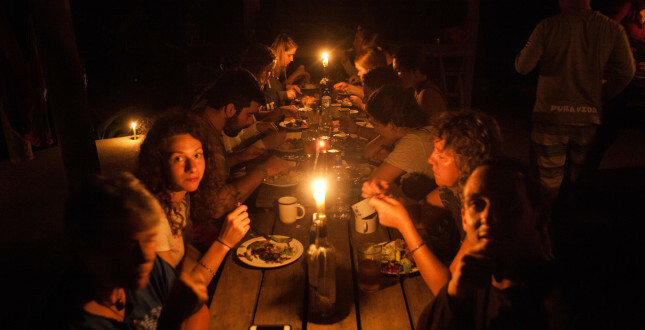 Then you will prepare for a good dinner with candle light because there is no electricity in the campsite. 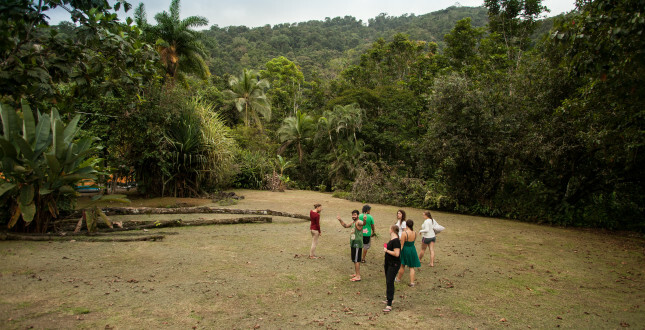 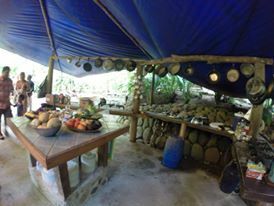 After a magical night, in which you sleep surrounded by the jungle sounds, you'll have breakfast and get back on the river. 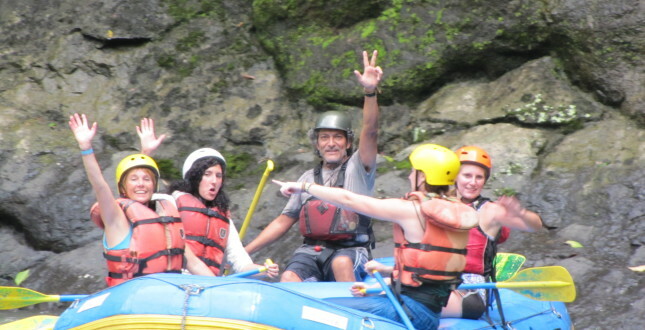 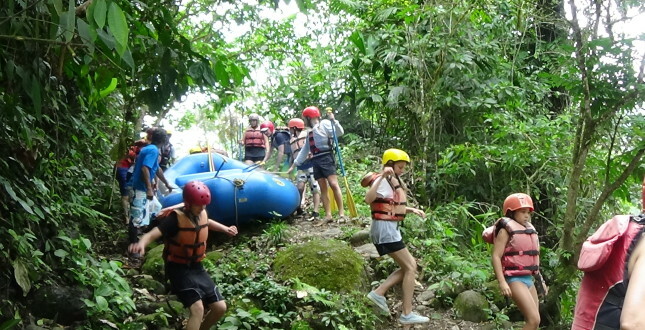 This second day you will experience the best rapids in a thrilling ride through the tropical rain forest. 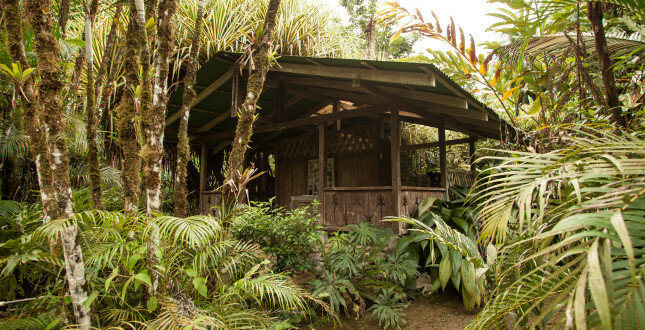 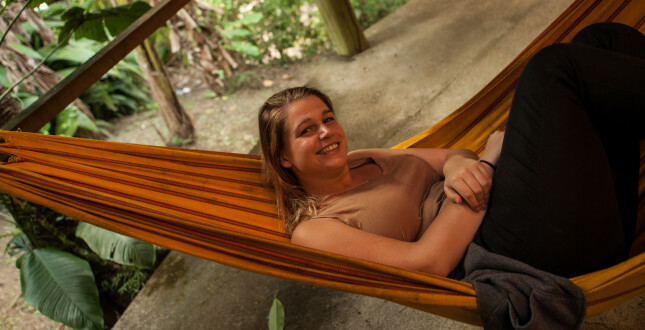 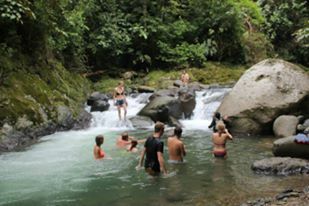 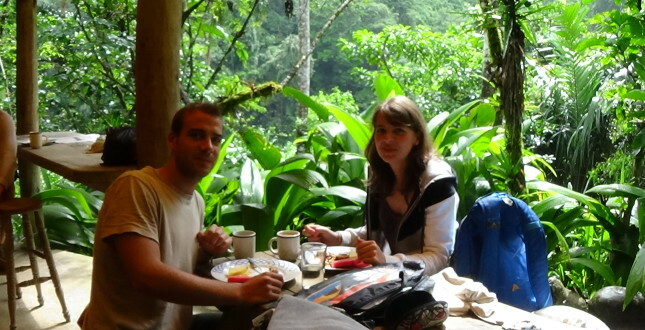 We end with a hearty lunch in a restaurant in Siquirres from where you can choose to come back with us to Turrialba or be trasnported to the bus station to continue your trip to the Caribbean Coast or to San Jose. 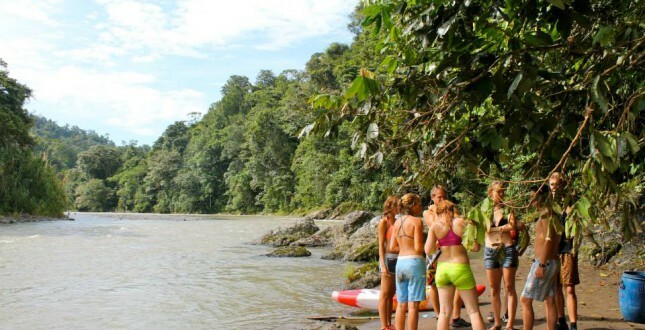 Before getting on this trip you'll have one hour of private Spanish classes and learn to converse in Spanish about rafting, the river, all wildlife and scenery that you will see on this unforgettable experience!